Convertible hat reverses to a different color and pattern and back again. 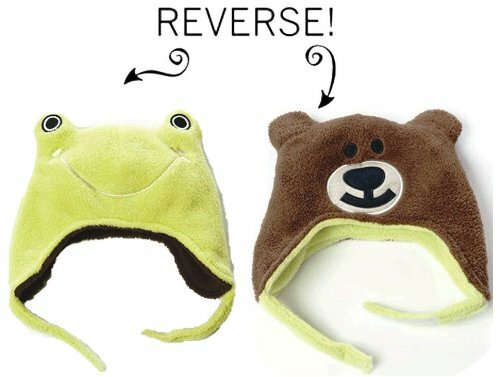 Luvali Convertibles – Frog/Bear Reversible Kid’s Winter Hat Large Reversible Frear Winter Hat. Side A: Green frog with Kiss Me text on back of hat. Side B: Brown bear with Bear Hug Junkie text on back of hat. Complete with ear flaps and chin straps. Gorgeous, soft, high quality fleece for those chilly days!